I find the flight of birds very graceful. 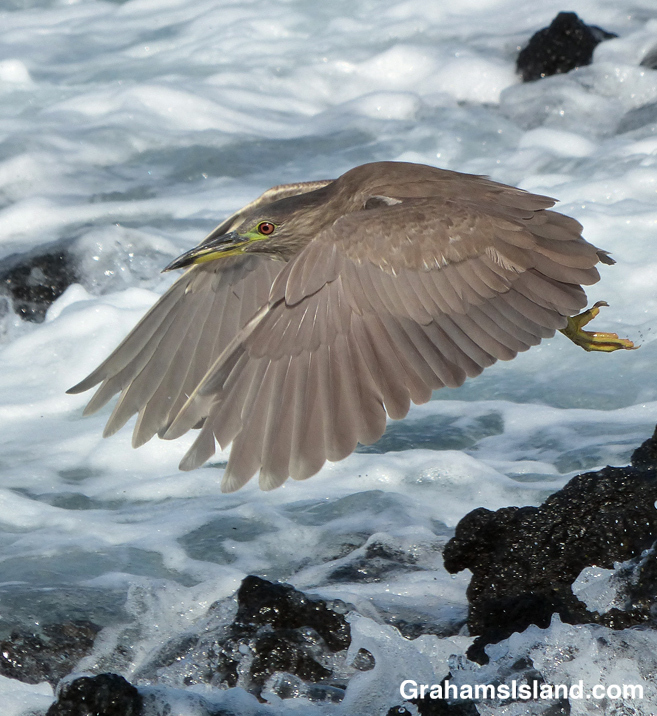 This juvenile black-crowned night heron was mostly statuesque while fishing in the shallows, but every so often it took flight to relocate, gliding over turbulent waters. Thanks. Love watching the herons fishing. Amazing shots! 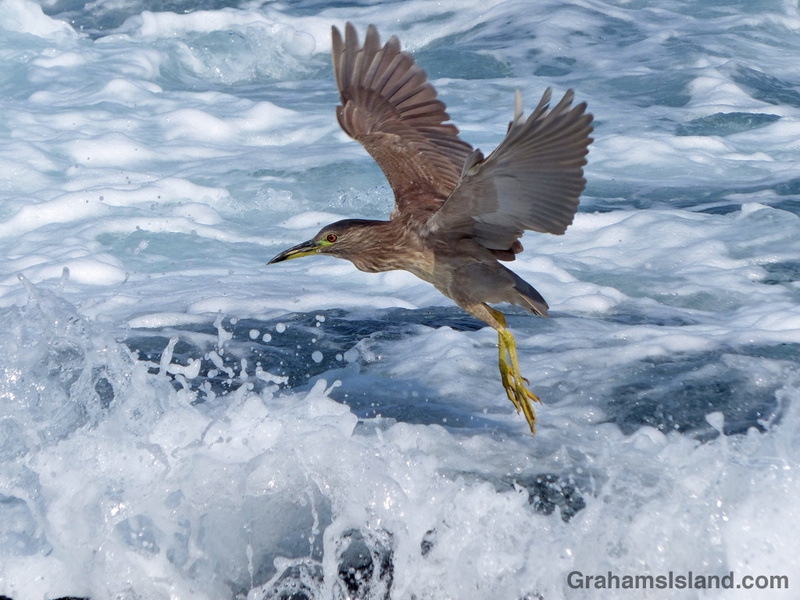 What lens did you use to catch these birds in flight? Thanks. I have a Panasonic Lumix DMC-FZ200 with a 24x 25-600mm equivalent zoom lens. The specs for these photos are: Focal length: 85.8, F number: 5, Exposure time: 1/1,600. The photos were taken on auto setting so I just focused on the bird and then tried to follow it in flight. I was happy to get a few photos that turned out well! Thanks. The herons are fun to watch. Thanks. One thing I like about these herons is they don’t seem unduly bothered by my presence. Makes it a little easier to get photos.